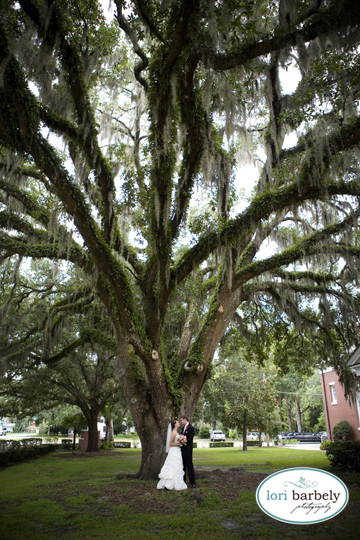 I recently had the pleasure of second shooting Jessica & Jay's wedding for Abby Liga of Liga Photography. Abby's a fantastic photographer and an all-around fun person to hang out and shoot with! I had such a blast working with her. 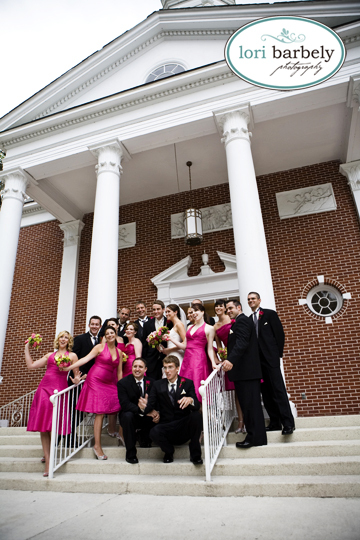 The ceremony was at the lovely First United Methodist Church in Oviedo. It's a small but beautiful church! The weather held out just long enough to give us time for portraits! Love Jessica's hot pink shoes! The reception was at the gorgeous Ballroom at Church Street. I'd never shot there before and it's absolutely stunning! 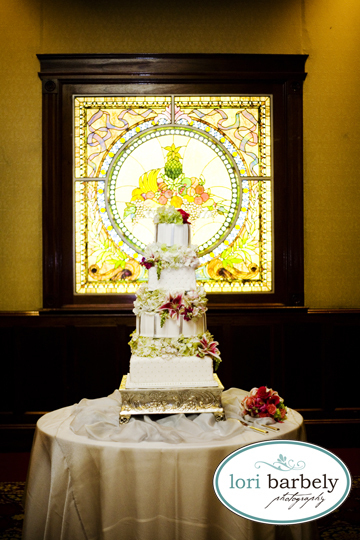 Check out that fabulous cake! 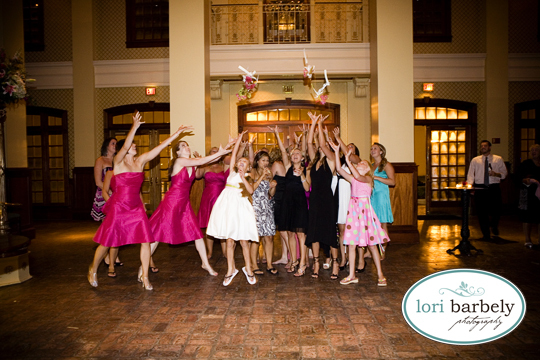 The bouquet catch is always a blast. Jessica made it more fun by having a break-apart toss bouquet! So several girls got to catch a piece! A lifetime of love and happiness to you both!